This Pink, 3 LOVE logo Tee, with Arthur's signature is a new design. 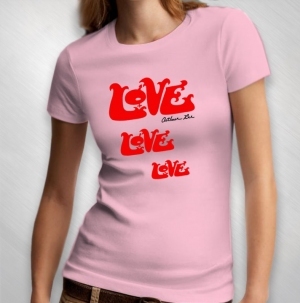 The pink T's run much smaller in sizing than the previous T's,. They come in women's sizes only so select your size accordingly. You might want to order up one or even TWO sizes.